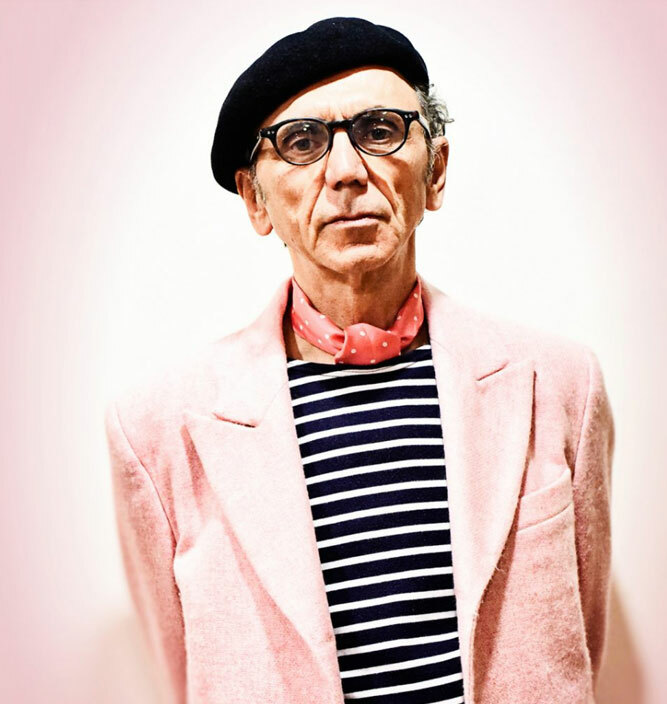 Style icon, DJ and leader of the band “Dexys” (formerly Dexy’s Midnight Runners) Kevin Rowland has never managed to fall out of favour or fashion. The much-loved Dexys made a hugely successful comeback in 2012, after a twenty-seven year hiatus, with their album “One Day I’m Going to Soar” and their characterful live shows garnered Dexys a whole new legion of adoring fans. Kevin, never one to be predictable, decided to follow up that album with something extraordinary. In 2017 he delivered an album entitled “Dexys Do Irish & Country Soul”. Drawing on his Irish roots and a love of songs that are “written from truth, from love, or from pure pain” the album is a diverse collection of interpretations ranging from the celtic folk classic “Carrickfergus” to LeAnn Rimes’ “How Do I live Without You”. It’s this vast wealth of musical knowledge and highly charged eclecticism that makes Kevin Rowland such a fascinating and entertaining DJ – or should we say “Sing-J”. Not content with just playing the tunes, Kevin’s mellifluous vocals blend in with those on the records, to make it an innovative, one-off experience for the crowd. He has a love of classic soul, funk, reggae and an uncanny ability for uncovering neglected pop gold for a set that lends itself to a broad spectrum of events. Be it at the launch party of PPQ’s new collection, Festival no.6, London’s 100 club, Bestival and numerous arts festival, the set is inclusive, dance-floor enticing and unique. As reviewed by The Quietus at Glastonbury Festival “A soul-infused set that hit some kind of euphoric peak when Rowland played Harold Melvin & The Bluenotes’ ‘The Love I Lost’ then segued into an instrumental mix where he took the mic himself, opening up whole new vistas for karaoke. You don’t get that with David Guetta; well, not with such ecstatic results anyway. What could have been preposterous ended up stupendous, because that’s what Rowland’s fervour does. He means everything so completely that the most unlikely – and occasionally ill-advised – idea comes off”.